Home > FEEL IT RELEASES > DIRTY & HIS FISTS "S/T" 7"
Los Angeles punks DIRTY & HIS FISTS deliver a knockout four song EP on their vinyl debut, following a standout demo cassette. 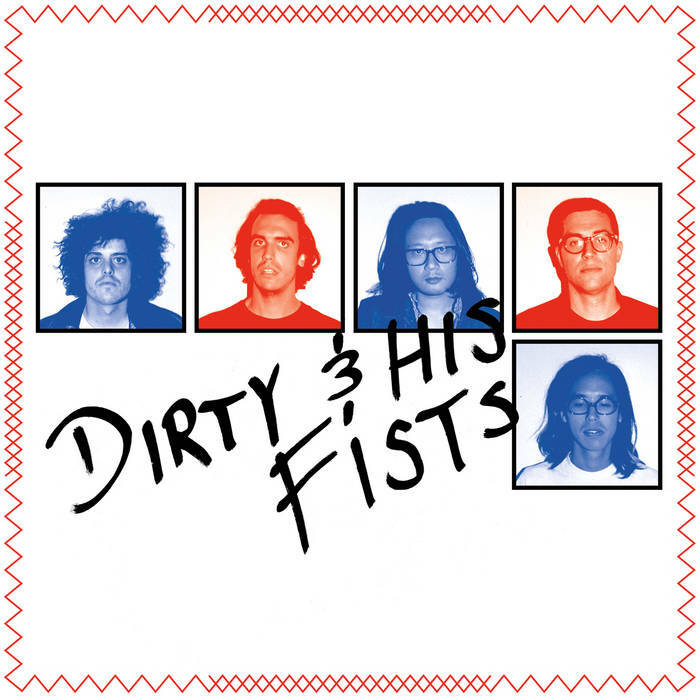 For the uninitiated, DIRTY & HIS FISTS have quickly become one of the best American punk bands alive, and one of the few to match powerful writing and performance with some of the best studio production out there. The Fists easily eclipse their demo with this new EP, incorporating a crunchy layer of synth, pounding rhythm section (featuring new drummer Sam Bosson), and ace production from guitarist/vocalist Mike Kriebel, who you may recognize as producer of recent Beat Sessions for Uranium Club, Urochromes, and P22. An undeniably great and memorable American punk record. Packaged in a reverse board pocket sleeve with an 7"x11" lyric insert and digital download. FEEL IT 13.